Sega has announced Sonic Mania Plus at a Sonic the Hedgehog panel by way of SXSW 2018. 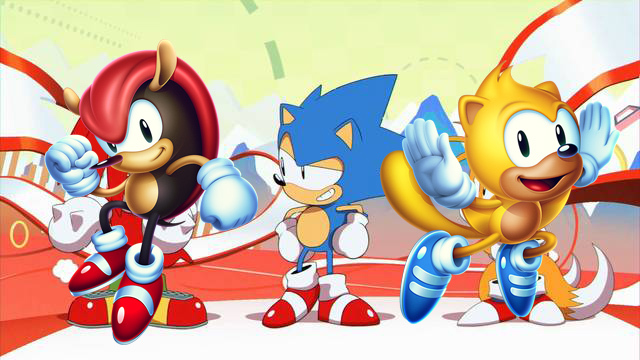 The biggest surprise is the addition of two new playable characters, Ray the Squirrel and Mighty the Armadillo. Both were formally playable in the obscure arcade title SegaSonic the Hedgehog, while Mighty pulled double-duty in a playable role in Knuckles Chaotix on the Sega 32X. The two hadn’t been seen in great capacity since outside of obscure cameos and comic books. 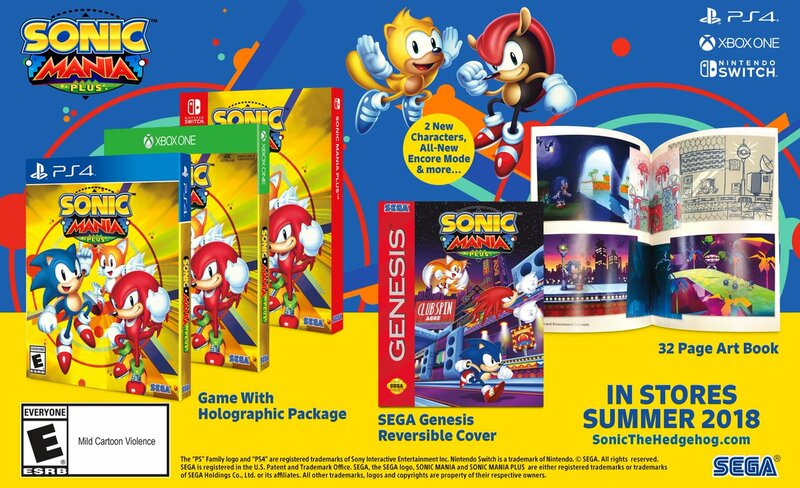 Besides new characters, Sonic Mania Plus is adding a new Encore mode, a 4-player Competition mode, and a retail edition that comes with holographic packaging, a reversible cover that pays homage to Sega Genesis packaging, and 32-page art book. It all launches on PS4, Xbox One, and Nintendo Switch this coming summer for $29.99 USD. Adding further to the Sonic Mania love, Sega announced a new series of five online animations entitled ‘Sonic Mania Adventures‘. The series will continue the much-loved style of the game’s opening animated intro with new stories. Sonic Mania launched in August 2017 across all major platforms, where its 16-bit throwback style made it the best-reviewed Sonic game in 15 years. The original release also got a special retail edition, including a special statue, albeit with the game presented as a download code rather than proper physical media.